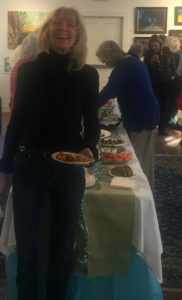 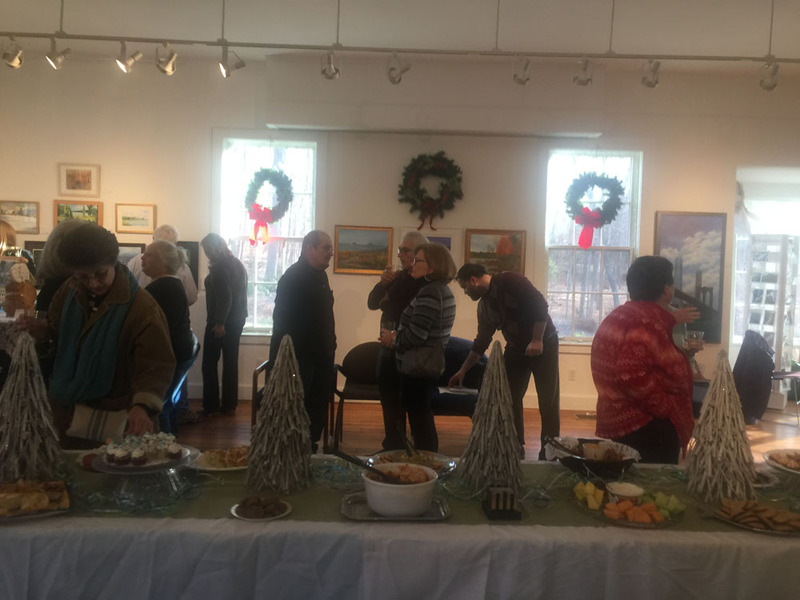 The Member Artists Show’s Reception on January 13 was a gathering of artists and art supporters enjoying each others’ company in the beautiful setting of the Charles W. Hall Art Gallery. 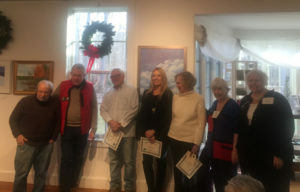 Pictures show a general view, a smiling Audrey Carroll at the Reception table, and some MAC leaders with the Award Winners who are from left to right: Jim Grabowski and Roy Wrenn who co-chaired this Art Show and Sale, Albert D’Antonio, Jackie Jones, and Mary Horrigan who each won a Presidents’ Award for their art work, Joan Lester Vice President, and Riva Clark Treasurer. This Art Show remains open every Saturday and Sunday from 1-4 p.m. through January.